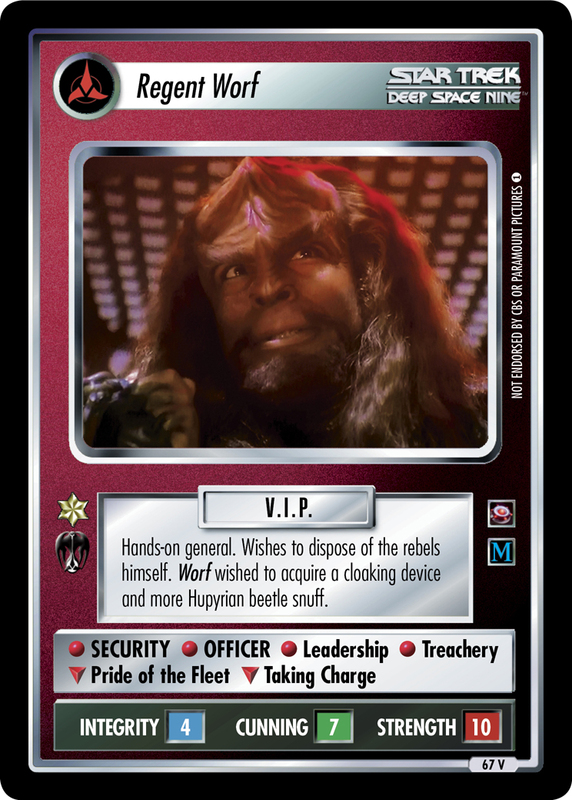 Oafish crewman serving Regent Worf. Keeper of the key to Security Chief Garak's restraining collar. Accused the Cardassian of stealing it. Found it in his own boot.